Little Krusty was a character on The Krusty the Clown Show Retro Reboot!. When doing the "What's in Krusty's Pocket?" segment of the show, Krusty said that he pulled out everything apart from the Little Krusty. 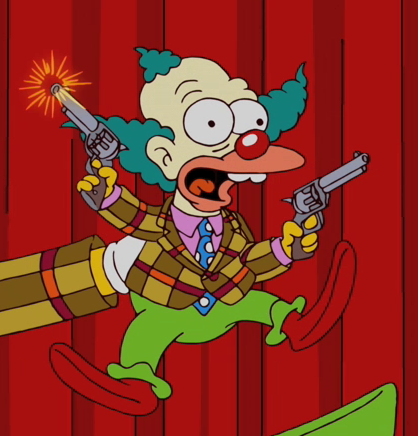 He then pulls out Little Krusty, wielding two guns, and he fires them on-stage. Modified on August 15, 2012, at 19:25.